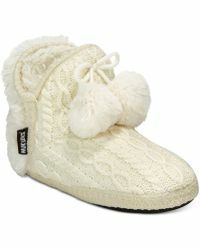 Muk Luks is a renowned American footwear brand first established in 1972, best known for its knitted slippers and shoes inspired by traditional, aboriginal 'Mukluks' footwear. 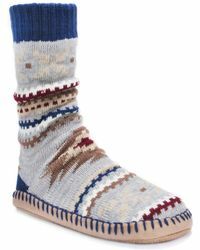 Throughout the years it has evolved into a broad collection of Muk Luks shoes to suit all occasions in modern life, with designs inspired by native American and aboriginal style. 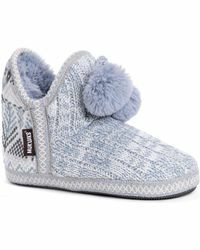 Today, the Muk Luks shoes collection features everything from faux shearling-lined 'jumper' boots to bohemian sandals and even chic heeled shoe boots. A bold palette of earthy colourways lends a subtle boho spirit to each comfortable shoe.